Can Tho (VNA) – The People’s Court of Binh Thuy district, Can Tho city, on March 20 handed down a two-year imprisonment sentence to a Facebook user on the charge of “abusing the rights to democracy and freedom to infringe on the interests of the State and the rights and interests of organisations and citizens” in line with Clause 1, Article 331 of the Penal Code. 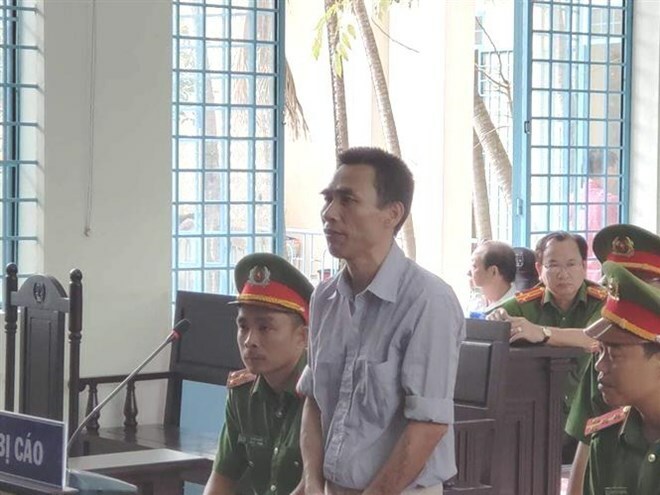 According to the indictment, from March to August 2018, Le Minh The, 56, residing in An Thoi ward of Binh Thuy district, joined Facebook with the account name “Le Minh The” and the avatar featuring a running wastewater drain of the Lee&Man paper plant in the Mekong Delta province of Hau Giang. During the period, The used his Facebook account to regularly livestream contents on social issues with the aim of slandering the Party and State, sabotaging the people’s solidarity and sowing a division between the people and the Party and State, thus harming the national political security and social safety and order. He distorted historical facts, denied revolutionary achievements, praised old regimes, and defaming the Party and State leaders. He also colluded with reactionaries at home and abroad to deliver anti-Party and anti-State propaganda and call for demonstrations and riots.